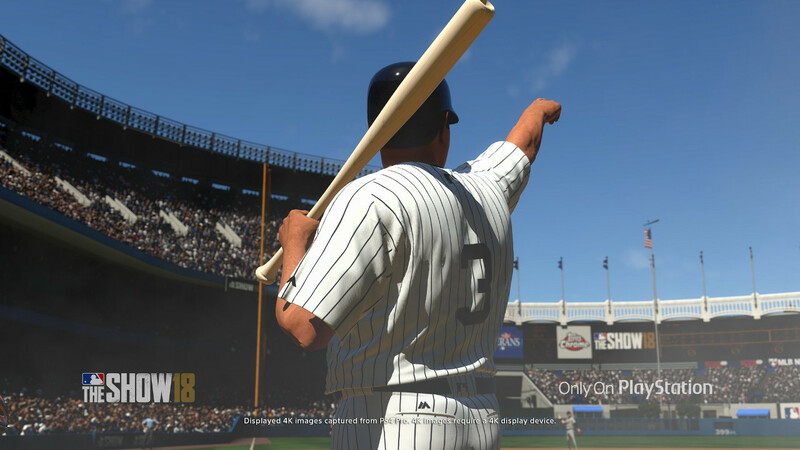 Three areas of gameplay that have been heavily scrutinized since release are at the center of another patch for MLB The Show 18. Issues have been identified with the PCI jumping up or down during a swing, fielders struggling to make a play on balls that they should be able reach, and fastball speeds that have made the pitch practically unusable in online games. The latest update to MLB The Show 18 hits on all three of those problematic areas. However, pitch speed has only been adjusted for Diamond Dynasty and some questions remain whether the PCI problem has truly been fixed. ♦Adjustments made to the Plate Coverage Indicator. ♦Increased pitch speeds within Diamond Dynasty (both online and vs CPU). ♦Fix for a rare occurrence where the outfielder would not play a catch (or run over the ball) on firmly hit ground balls that get through the infield. ♦Adjustments made to allow more user control for infielders on soft line drives just over their head. This allows users to break out and run for the ball, when they sometimes felt locked in. ♦Fix for a rare issue where the catcher would come out of his cover position (covering home), not allowing branching throws to the plate when a runner is attempting to score. ♦Fix for when user is unable to make free agent moves until free agency IV phase if the World Series ends on or before Oct 25th. ♦Fixes for various low frequency consumer reported crashes. ♦Several UI and art adjustments to add polish. ♦Various other minor bug fixes and adjustments made throughout the game.